STATE CAPITOL, PHOENIX – House Minority Whip Anna Tovar attended President Obama’s press conference today in Washington, D.C. to get the facts about his plan to reduce the deficit. A former teacher and Vice Mayor of Tolleson and a transplant survivor, Tovar said a balanced approach to get rid of government waste and closing tax loopholes is necessary to get our economy moving again. 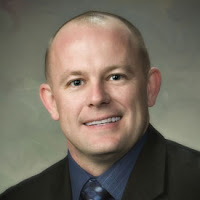 STATE CAPITOL, PHOENIX – House Minority Leader Chad Campbell urged Republican leaders today to put a hold on building private prisons and form a committee to investigate the Arizona Department of Corrections’ failure to comply with state law. Campbell sent letters to Gov. Jan Brewer, state Department of Corrections director Chuck Ryan and House Speaker Andy Tobin. “I urge you to cease and desist the procurement of 5,000 additional private prison beds until the cost-benefit and performance analysis required by law is completed and after enhanced security, training and monitoring policies are in place and shown to be effective at all existing private facilities,” Campbell wrote in a letter to Brewer and Ryan. Campbell asked Tobin to form a committee to investigate the non-compliance if Brewer and Ryan continue to break the law. Last summer, murderers escaped from a lax-security private prison near Kingman and fatally shot two people and left their bodies to burn in New Mexico. STATE CAPITOL, PHOENIX – President Obama invited Rep. Ruben Gallego, D-Phoenix (District 16), to a White House press conference today to urge Congress to pass his jobs bill. Gallego, a state legislator and Iraq War veteran, said the President’s speech gave him hope that job growth will soon come to south Phoenix, an area he represents. Highway and transit modernization projects will receive immediate investments of at least $603 million in Arizona that could support a minimum of approximately 7,800 local jobs. States and localities would be able to avoid and reverse layoffs now, and the plan will provide $626 million in funds to Arizona to support up to 9,700 educator and first responder jobs. A typical household with a median income of around $46,000 will receive a tax cut of around $1,430. “Today Gov. Brewer launched another website as her solution to the massive problem she and Republicans created by slashing our children’s education funding, firing teachers and creating a nearly impossible learning environment for our kids. “If she wanted to fix education, she should fund our schools. Instead, she just continues to build on empty promises. She created a perception that she would use the sales tax hike for education but this year turned around and made another massive cut to education — $273 million to universities and $180 million to K-12. She then handed that money over to bail out, through tax cuts, big corporations and rich CEOs, not middle-class families. Brewer’s website timeline – What have these websites done to create jobs and fund education? March 2, 2009: She launched a faith-based/charity organization website as a solution to offset her own budget cuts: www.arizonaserves.gov. STATE CAPITOL, PHOENIX – Republican lawmakers and Gov. Jan Brewer illegally raided Arizona’s public transit funds in an attempt to fill a budget gap, the U.S. District Court in Arizona ruled on Friday. The court said that in 2010, the Republican-controlled legislature and Brewer had no power to pass and sign HB 2012, a bill that eliminated the local transportation assistance fund, but they did anyway. Nearly $34 million a year was taken from the fund, a total of $51 million since 2010, but Arizonans will soon see transit funded again. Public interest attorney Joy Herr Cardillo of Arizona Center for Law in the Public Interest served as the attorney who fought for the transit funding. The transportation fund is part of a state implementation plan, as required by the Clean Air Act, to meet the national ambient air quality standards. Maricopa County, particularly the Phoenix metro area, has failed to meet those standards. In 1993, the plan was developed, including using lottery monies to put in the transportation fund. But in 2010, Brewer and Republicans repealed that provision and eliminated the fund, raiding it to fill a budget hole. The court ruling only applies to Maricopa County, since it is the only region that includes a Clean Air Act court order, but the transportation fund covers all of Arizona. That translates to a restoration of only about $16.2 million per year for Maricopa County that will be restored starting on Sept. 23. “We now need to restore the transportation funding to the entire state so that all those who depend on transit, from seniors to Arizonans with disabilities, can once again gain access to doctor appointments, grocery stores and workplaces,” said Rep. Lynne Pancrazi, D-Yuma (District 24). See copy of the court ruling attached. STATE CAPITOL, PHOENIX – House Democrats are urging Gov. Jan Brewer to rescind her taxpayer-funded payout to rich CEO Don Cardon, her head of the Commerce Authority, and hire more teachers for Arizona’s suffering schools. Brewer’s sweet deal for Cardon includes: a $300,000 salary that can be increased but not decreased, a $50,000 signing bonus, a target bonus of 25 percent, a $1,000-a-month vehicle allowance, six weeks of paid time off a year and $30,000 in supplemental allowance. Cardon got the salary boost and bonuses after he moved from the now defunct state Commerce Department where he already was making $183,000 per year. Cardon still hasn’t brought in new business and jobs in Arizona, but Brewer gave him a big raise anyway. Meanwhile, Arizona taxpayers have to pay more in sales taxes to offset Brewer’s massive cuts to education as children crowd into classrooms in a nearly impossible learning environment. Lately, Brewer has been MIA from the media and the public, but House Democrats are calling on her to come out and take away her rich-CEO, sweetheart payout to Cardon and create teaching jobs at Arizona’s most broken schools. “First, the actions of the Pima County Republicans are shocking, disrespectful and in poor taste at best. To raffle off the same brand of gun used to assault Congresswoman Giffords and kill and injure several others, including a 9-year-old girl, is unconscionable. “Arizona is still healing from these wounds. If any good could have come out of this horrific event, it would be civility in our state or employing sensitivity when needed, not reopening the wounds or making light of them.